Since when do Du know they were going to end up together? What was your favourite book scene with Harry and Ginny(other than the kisses) out of these. which h♥g Icon do u like the best?? Do Du think they will get married? Die Fanauswahl: Yes Yes Yes!! Are Du Excited For Harry Potter and The Half-Blood Prince Movie? Could anyone make me a manip? if u were the director of harry potter Filme and u wanted 2 make h♥g scenes! !which scenes would u make and where and when and would any one be with them and any thing that can come up in ur mind!! Why do so maney people Hate Ginny and Harry together? When did Du become a H/G fan? Mum smiled. She grabbed my father's hand and dragged him to the table. "Harry, Du HAVE to read this!" Mum sagte in utter shock. A few Minuten passed. Dad's eyes darted across the letter several times. "Oh Ginny!" Dad beamed. "This is wonderful!" "Her-mioh-nee was a friend of ours at Hogwarts." Mum stated calmly. Wow. I must've thought my parents were old because it shocked me their Friends were still alive. The little critter fluttered around the room. The light blues and lilacs of my room suddenly felt less calm as it sped around. uhm.i noticed sth lately.many people wanted harry&hermione to end up together.why is that so? i mean i Liebe harryhermione but not as couples as best friends.and (at least in the books) they were never Mehr than friends. They were there for each other understood each other and everything but harry felt never Mehr than friendship and neither did hermione.everyone who read the Bücher must see that,right? Every Gryffidore was screaming. Ginny could feel hands grab at her and pull her into tight hugs. She was very aware of Ron yelling and screaming in delight as he held the cup high. Ginny felt the bodies of her Friends pushing her towards the castle. Once they reached the common room , the party began. She looked around for Harry. She couldn't wait to tell him! He would be so very happy. The common room door opened and people screamed even louder. 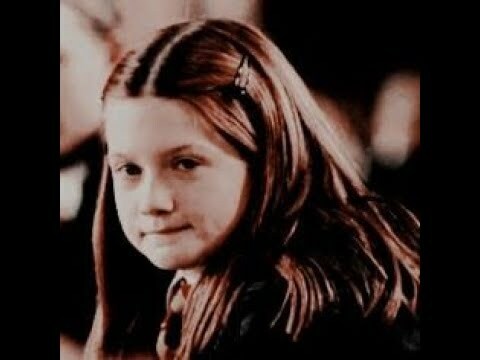 Ginny saw Harry's happy face watching her. 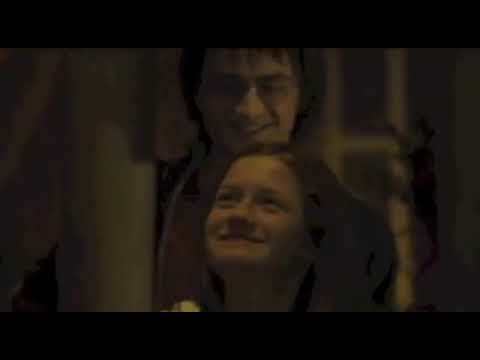 I think and I feel Harry and Ginny are the BEST COUPLE EVER!!!!! I start loving this fantastic couple when I saw the 5th movie "Harry Potter and the Order of the Phoenix", 'cause I felt totally connected with Ginny and she became my Favorit character (she's the BEST). And Harry is my Sekunde Favorit character (I Liebe him). Well, though I like Lesen Harry Potter Bücher and I admire a lot JK Rowling; I have to recognize that my ONE TRUE Liebe are the Harry Potter films. "Hermione im so exited. Harry is going to take me out to abendessen tonight and he sagte he had a suprise for me!" We squealed with happiness. "Awww that's great i wonder what it is!" Hermione sagte looking...weird. I had no idea what it was. I wanted to tell her, i truly did! But that would mean i was a bad friend and that's never going to happen! Harry nervously flattened his hair as he stood under the flowery altar waiting for the Musik to to start. His best friend Ron was standing beside him, tugging at the halsband, kragen of his black dress robes, obviously the heat was bothering him. Harry flattened his hair again. In HBP, Is it true that Ginny tells someone that Harry has a Hungarian Horntail tattooed across his chest? ADD ur Favorit harry ginny moment!! !